Current population of India is 1.252 billion. Out of this large number one third of population is such who doesn’t have electricity in their homes. They are still living in darkness age. There are many reasons to it. Production of electricity is less as compared to supply. Dependency on non-renewal resources of energy like coal, oil is more as compared to renewal sources of energy. This makes electricity per unit cost expensive. Lot of homes can’t afford to pay heavy electricity bills and so does government can’t afford to provide electricity to large number free of cost. So ultimately it’s the government who has to figure out how to produce more electricity from renewable sources of energy. India has huge area which are high wind power concentration areas. Some of the states with highest wind power concentration are Madhya Pradesh, Andhra Pradesh, Tamil Nadu, Rajasthan, Karnataka, Maharashtra, and Gujarat. India’s non-renewable sources of energy like coal is depleting at a faster rate. If this continues for another two decades there would hardly be any coal reserves left. India desperately need to switch to renewable energy sources. Also environment is again a big concern for India. With reduction in forest area, population explosion we need to make sure that we are not polluting environment so that everyone has clean air to breathe in. Burning coal, oil adds lot of harmful gases to environment. Electricity production through wind energy is the cleanest way of electricity generation. Wind is almost free resource and what takes is to tap it perfectly to efficient utilization. Therefore initial setup of plant might cost slight high but its benefits could be reaped over years and years. Efficient utilization can eliminate power issues in India. Another benefit is creation of jobs for local people. From installation to maintenance of turbines creates multiple job opportunities. You all must be aware of Paris Climate Change Conference which is going on these days and is attended by so many nations including India. Climatic change has become an important issue that’s the reason why all important leaders of the world and meeting together to discuss the possibilities for renewable sources of energy. 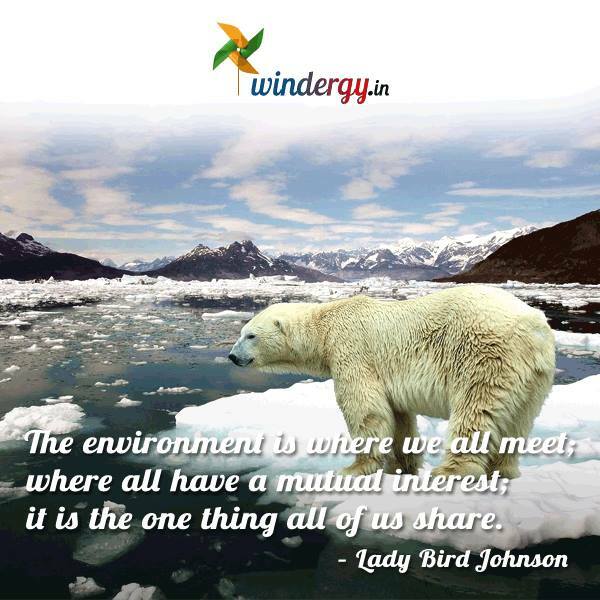 Considering all the points above Indian Wind Turbine Manufacturers Association has launched Windergy India. 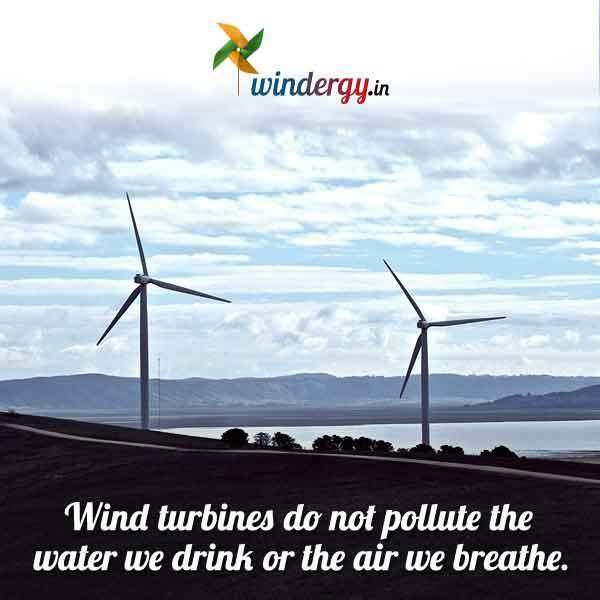 It’s a unique digital platform to create awareness about wind energy sector in India. Wind Energy sector aims to achieve target of 60,000 MW which definitely needs support from government. By employing more and more wind turbines we can reduce pollution to great extent. There are greater chances that per unit cost of electricity might go down with the implementation of wind power turbines. If we have more energy than we can introduce more number of battery cars, scooters which in turn will be economical as well as pollution free. I am looking forward to stronger, pollution free economy. What about you? What are your thoughts about the same? Are you going to support Windergy? I also support this idea of using renewable sources of energy....this will be beneficial for our country.